Change is the essence of existence. One of the major alterations that the planet undergoes through on a regular basis is that of technology. Technology is advancing at a pace that is unfathomable and the expectations, therefore, are also coming up. For an industry to continue to exist, they would be required to keep churning out better and newer products that can replace the previous ones. As a result, Ford has come out with another version of Ford EcoSport and it has replaced its widely popular predecessor. 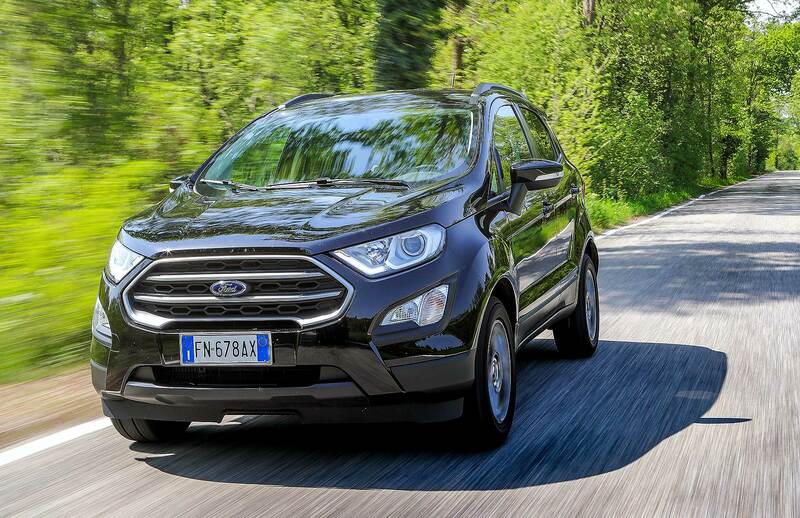 The standards set by the previous model of Ford EcoSport were high enough and the new version had to be better to garner the same attention. There are various changes and you would need to analyze them properly to assess if it genuinely outshines the old one. For the physical aspects of the car, the company has made changes to the bumper. The logo of the logo now appears at the center, unlike the previous version. The lamps at the front, too, have got an upgrade as both the fog lamps as well as headlamps have had their size increased. Overall, the newer version looks much better compared to the old one. There is not much to say about the back portion or the side portion of the car as they are pretty much the same as the older model. The interiors have been modified with great care. The dashboard has been made to look better with the LED sensing light that triggers during the opening of the door. The air conditioning, too, has been elevated greatly and for the entertainment, you will have a bigger screen to look at, to ease out the usage process. For the convenience, more things can be controlled by not moving around too much as they are available via the steering wheel. There are other additional features that make the car better than the previous model. The braking system now comes with an ABS technology. Adding to the safety feature is the child lock for doors at the rear end as well as the unlocking of the door automatically during an accident. Adding the cherry on the top is controlling of the system through voice and the availability of ports for USB. There are two particular features that would excite the buyer the most. The first one is that the information system onboard tells you about the pressure of the tires that it monitors. The second is the camera at the back end of the car that is extremely beneficial when the car is running on reverse gear. The engines, too, have got an upgrade which was the need of the hour because, at the end of the day, it all comes down to the functioning of the car. On the whole, you can easily see the difference and understand that the new version actually is way better than the previous one at the same price.